Dental Associates completed a beautiful restoration of the historic Iron Block Building, downtown Milwaukee. 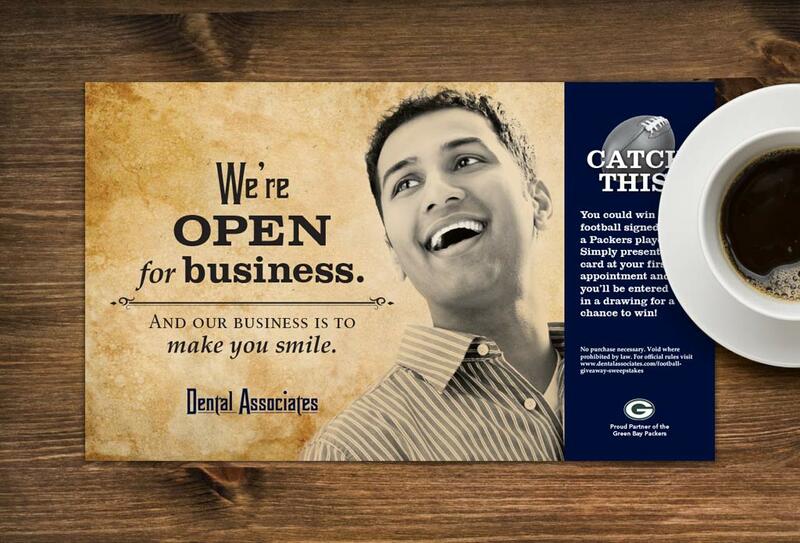 The building serves as corporate headquarters, as well as a boutique dental practice and dental implant center. 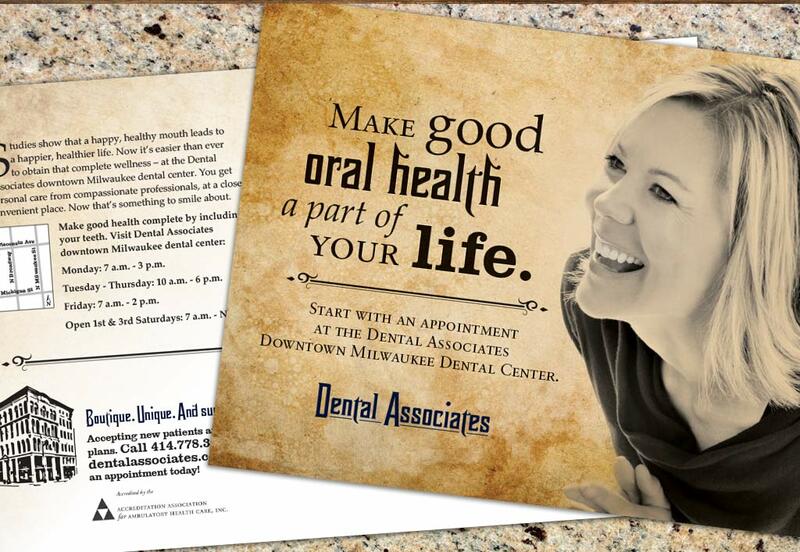 We developed a direct mail campaign to target five different markets in downtown Milwaukee with three separate mailings. 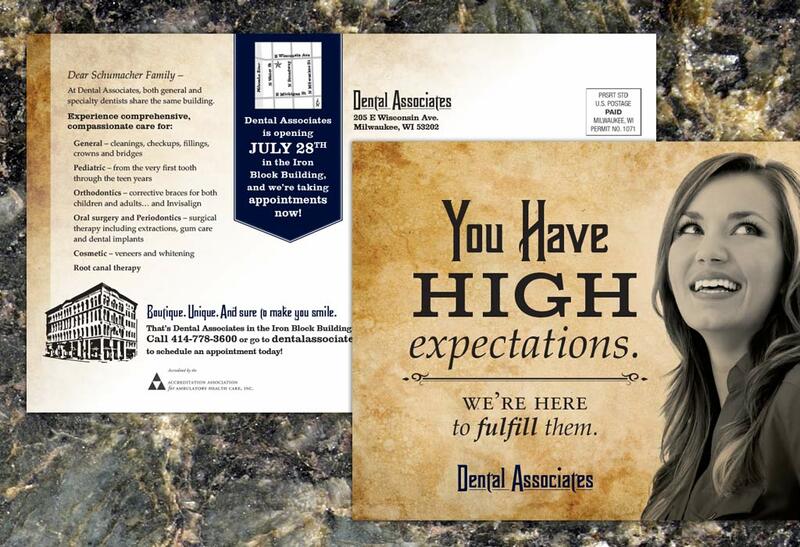 This direct mail campaign, along with other Grand Opening marketing efforts, helped contribute to significant growth in the clinic’s first six months. 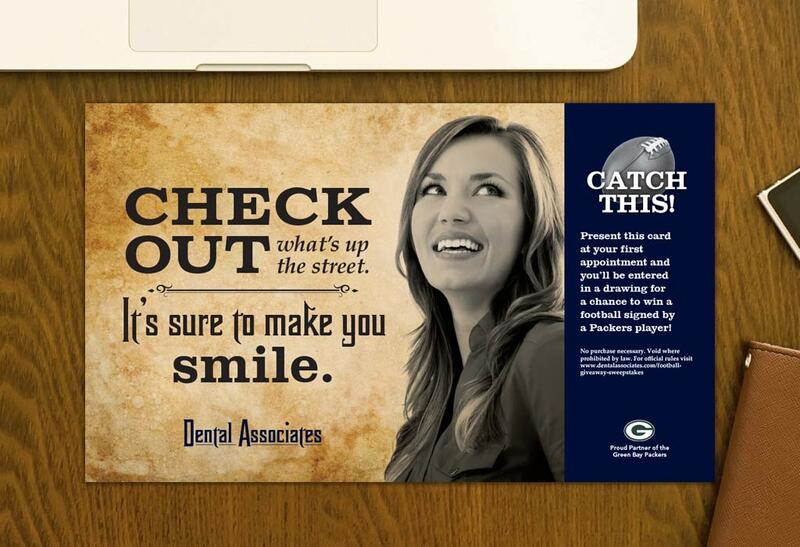 Print Graphic Design Services: Direct mail campaign design.